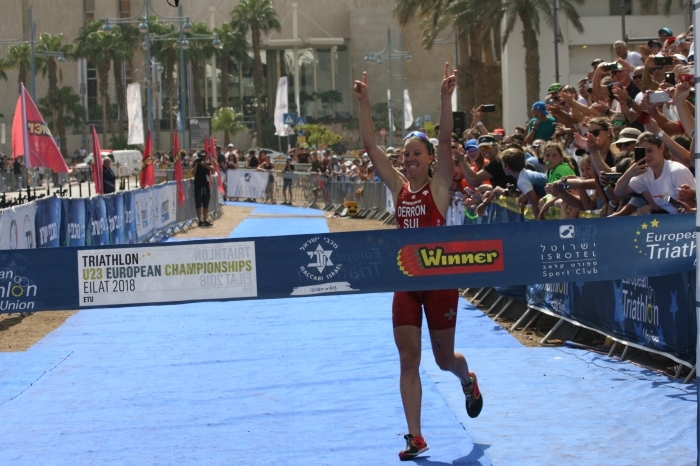 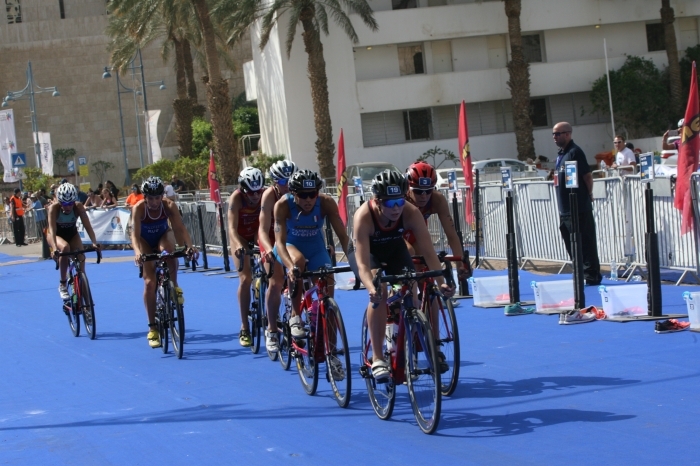 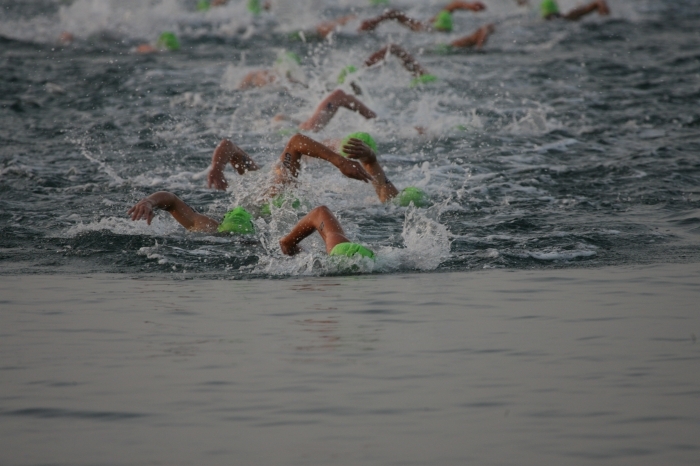 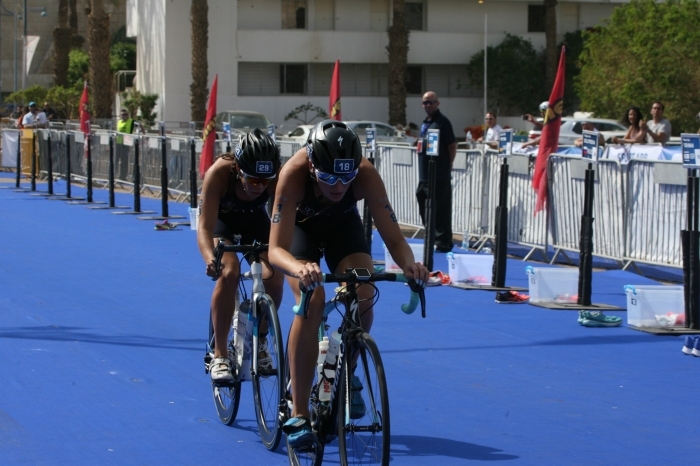 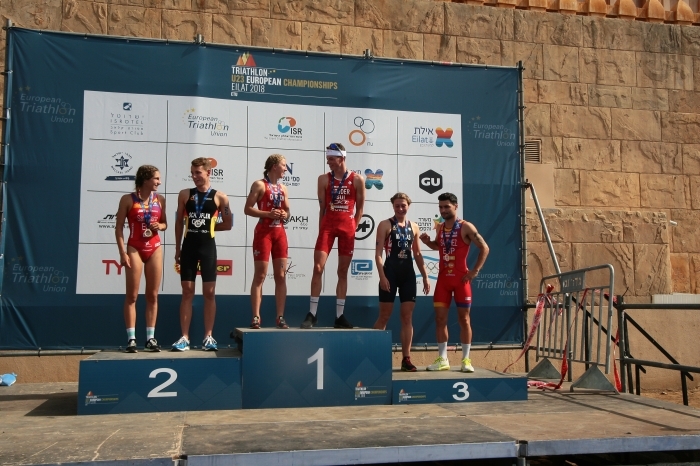 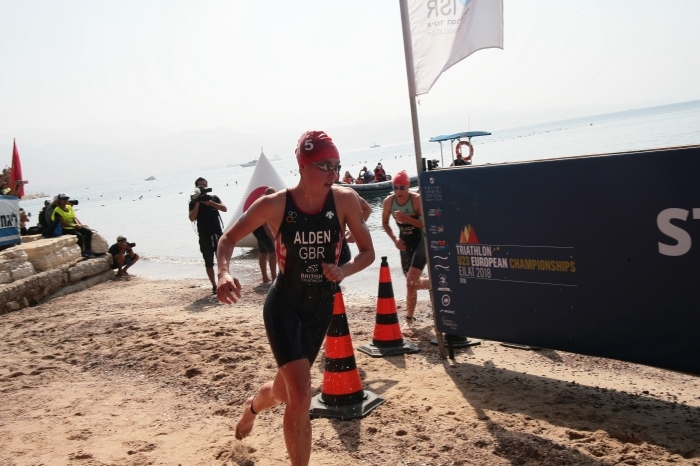 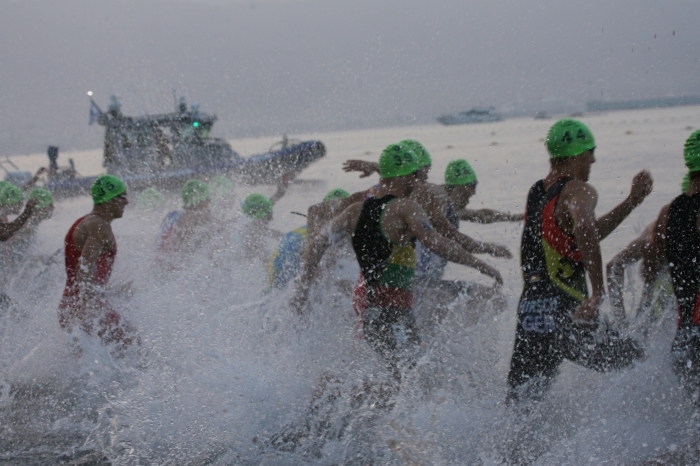 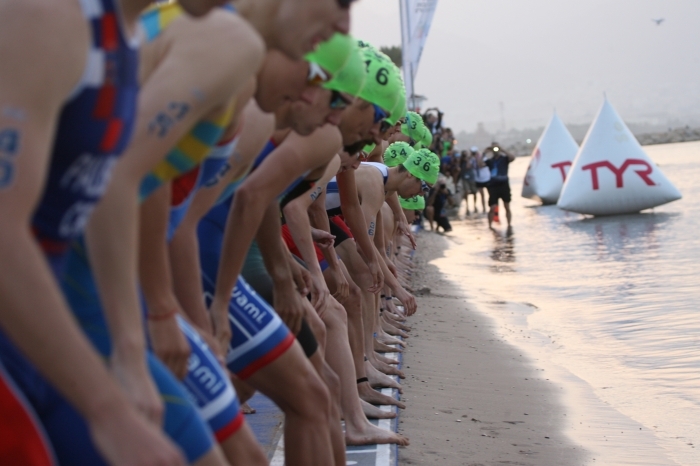 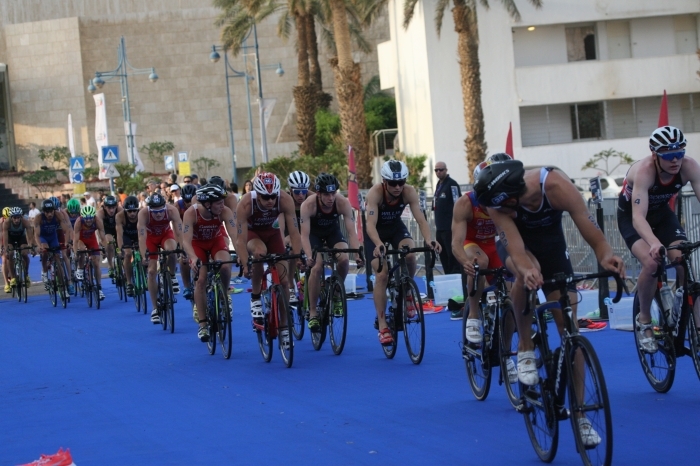 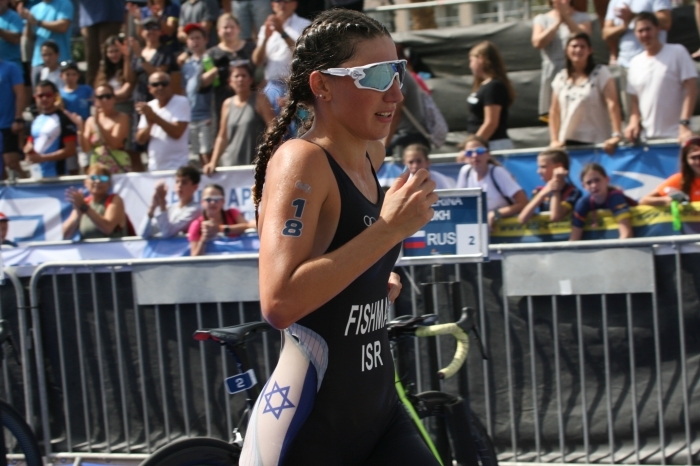 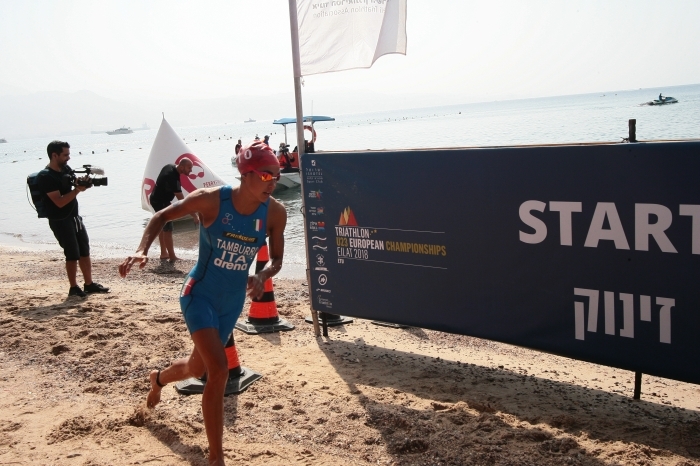 From start to finish, both races were thrilling to watch today in Eilat as the U23 titles were decided. 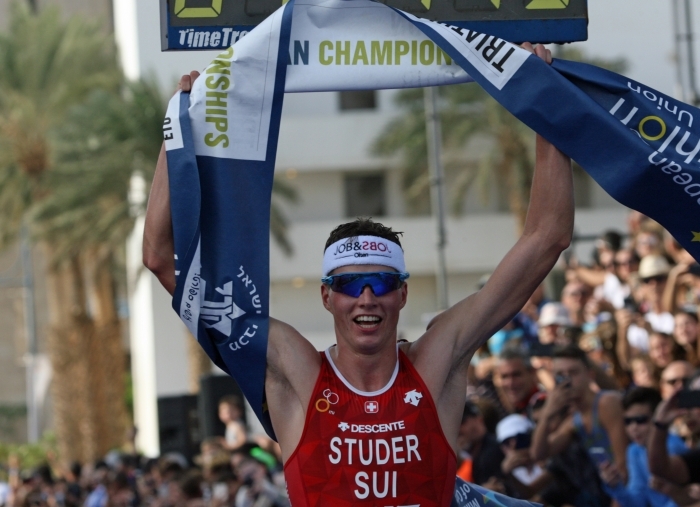 It was to be a day for the Swiss as first Max Studer and then Julie Derron dominated the run. 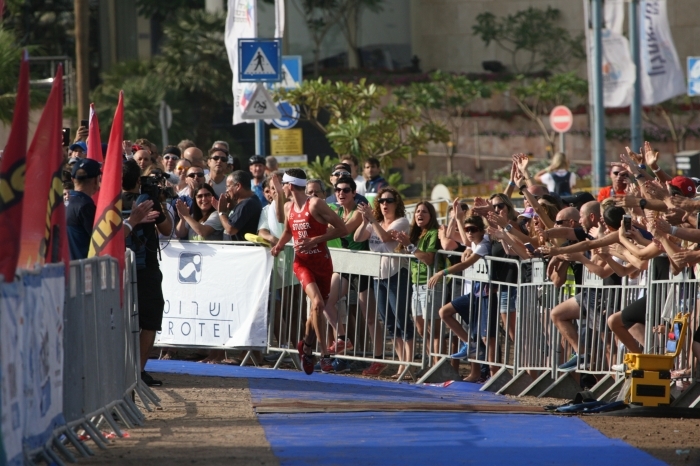 For the men’s race, the swim was led by Márk Dévay HUN and Michał Oliwa POL. 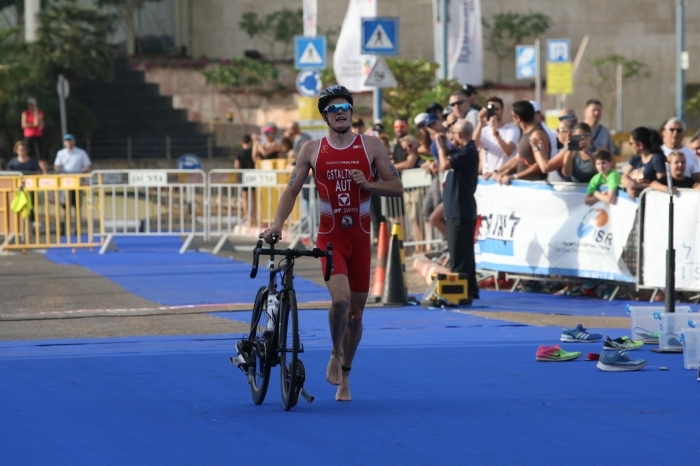 The pair created a small lead for the first lap of 1,000m and then extended that over the final shorter lap before running the 350m to T1. 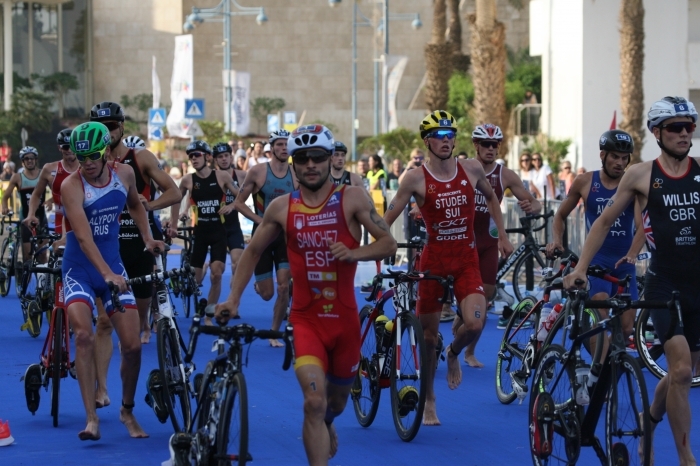 Behind them a strong group of athletes worked hard in the water and then on the bike but for a short time, the Hungarian / Polish duo were safe out on the six-lap bike course. 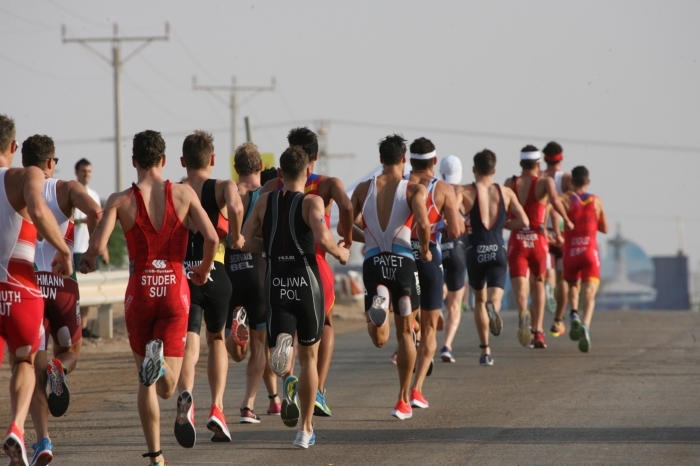 Soon enough the peloton caught the leaders and amongst that group were the fast running Brits, Sam Dickinson, Barclay Izzard and Spain’s Roberto Sánchez Mantecón. 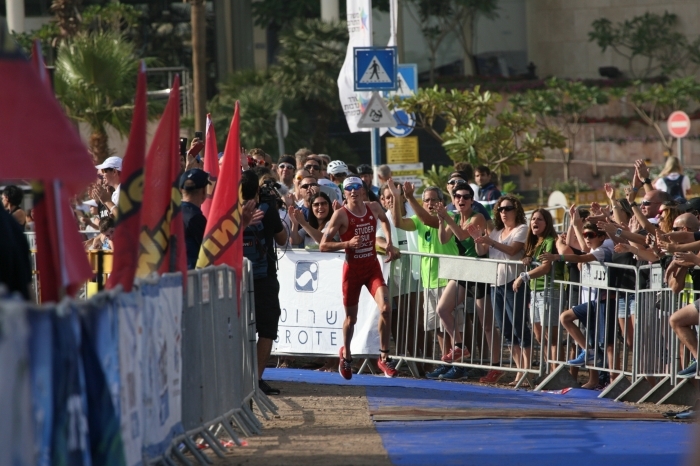 The local crowds were doing their best to cheer on Ran Sagiv who was well-placed within that pack. 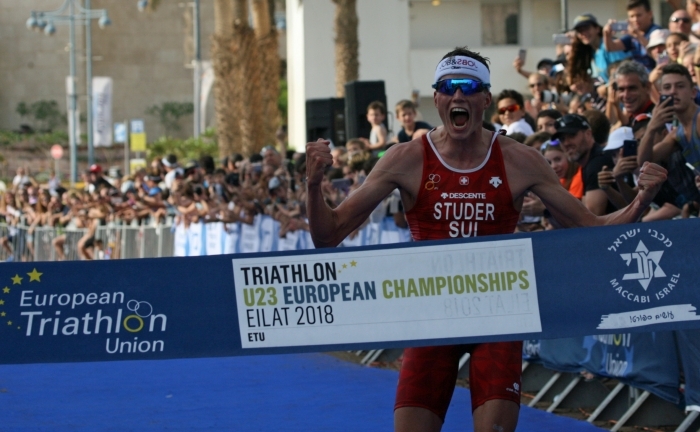 Studer was there too and with his recent victory in similarly hot conditions in Alanya, there was clearly going to be a chance of him repeating that final run. 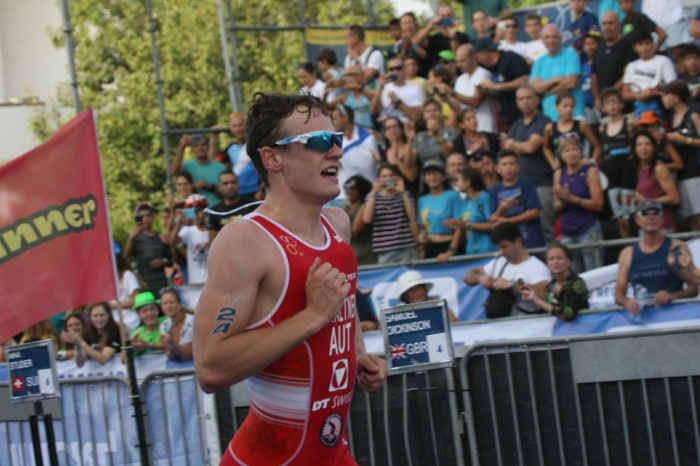 It was a spectacular breakaway from Lukas Gstaltner AUT with a couple of laps to go that shook them up. 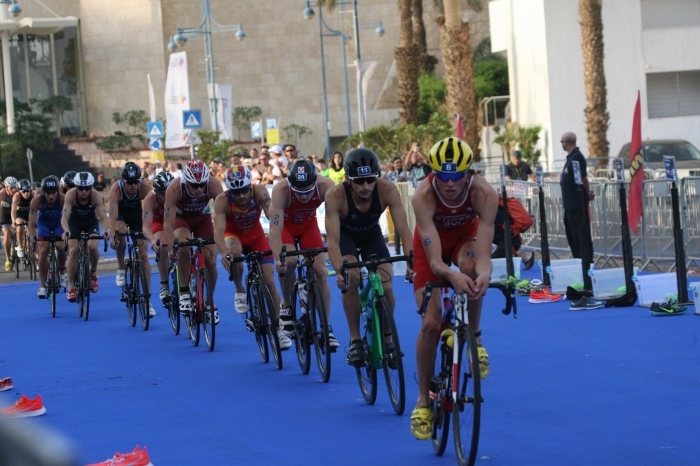 He held his lead all the way into T2 but the big guns were behind him. 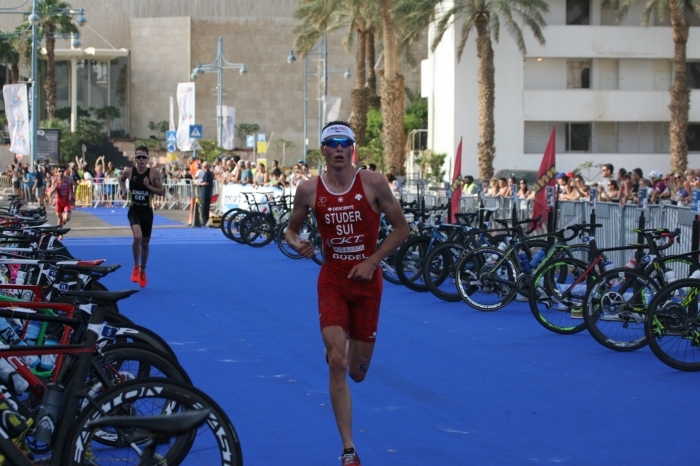 Sagiv had a disastrous T2, as his foot simply would not go easily into his running shoe. 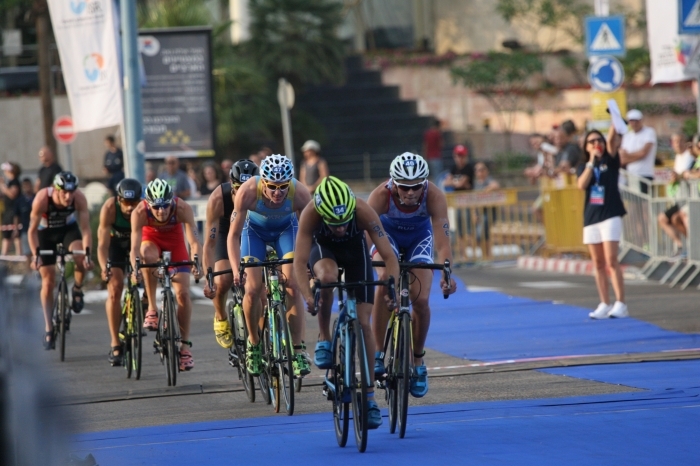 Over 20 seconds ticked by so slowly as he struggled and as he left the blue carpet, he was right at the back of the pack and with a truly uphill task ahead of him. 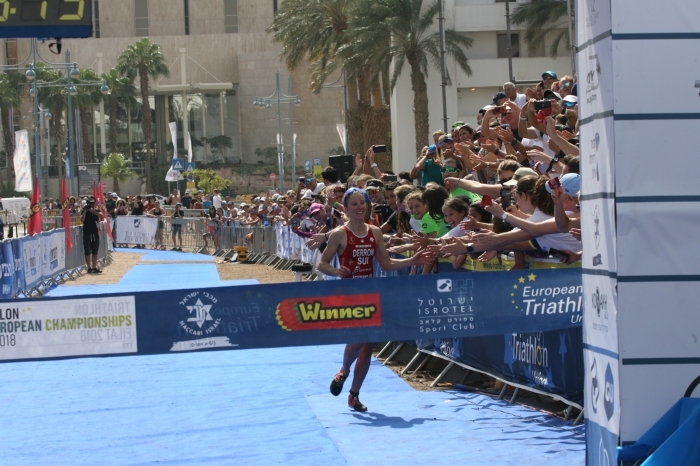 Studer wasted no time and soon was in the lead. 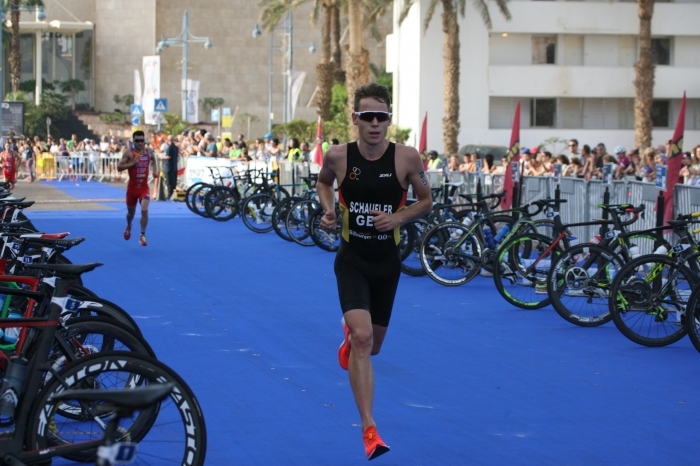 Behind him was Germany’s Jannik Schaufler, who had missed quite a bit of the season after injury but was now running free and looking very strong. 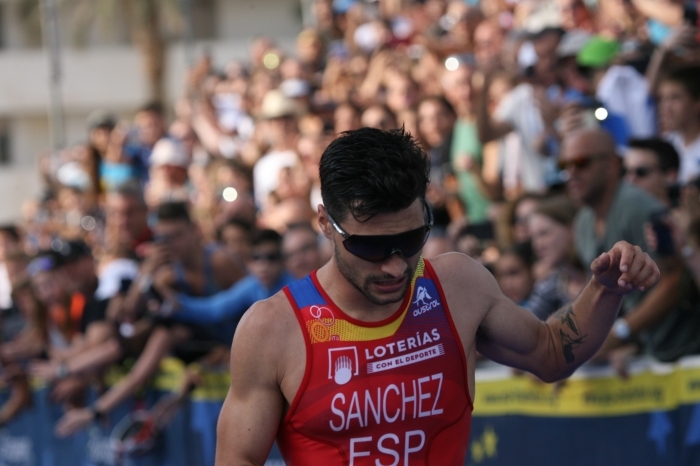 Behind him Izzard pushed a bit to test the pack but was unable to impact upon Sánchez. 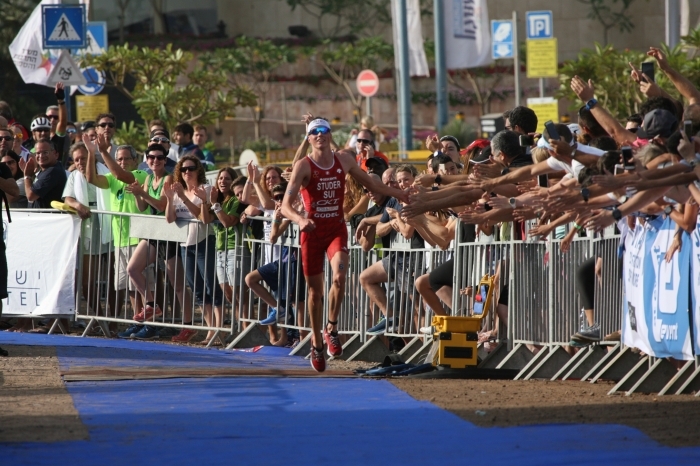 So it was, to the loud cheering of the crowds, Studer enjoyed the glory in the finish chute and shouted to the world his victory. 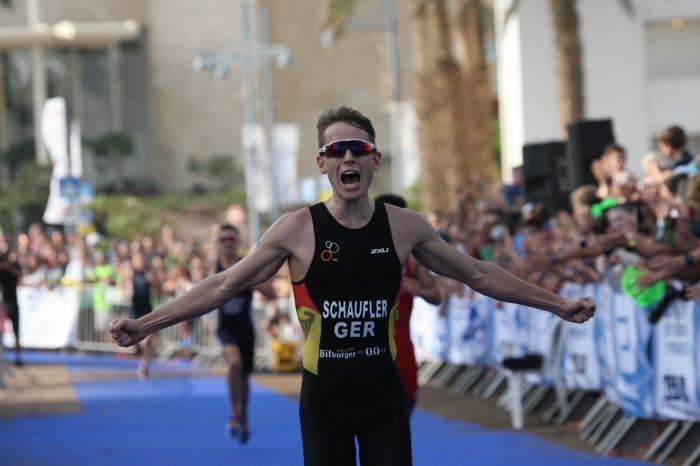 Schaufler got his best result since his victory as a junior in Nottingham in 2014 and Sánchez collected some valuable points with his bronze. 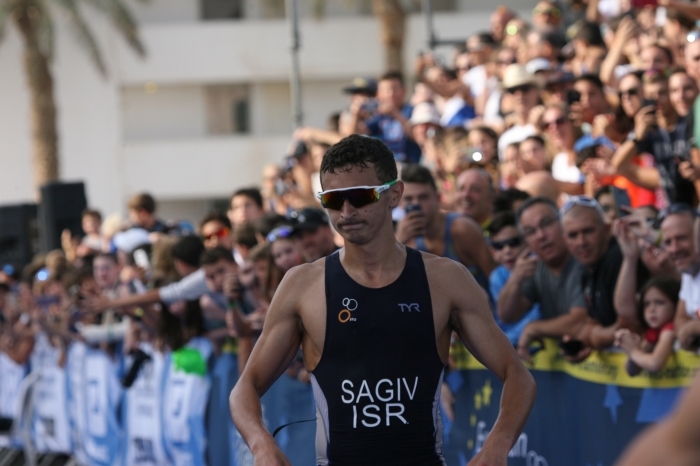 Despite giving all, Sagiv just could not catch them and the pain on his face said it all. 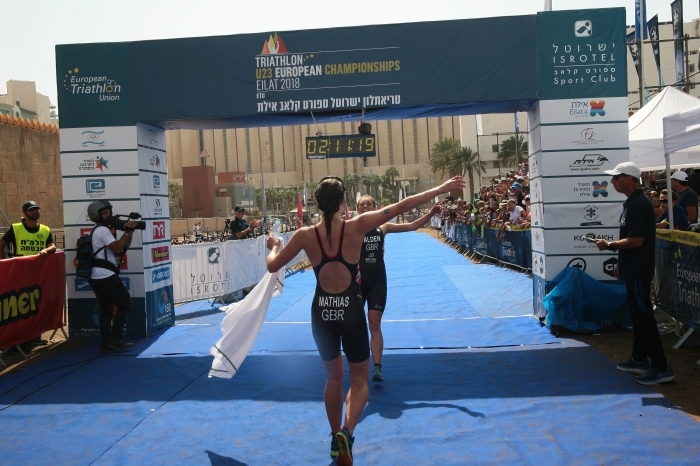 For the women, the swim was led easily by GB’s Sophie Alden. 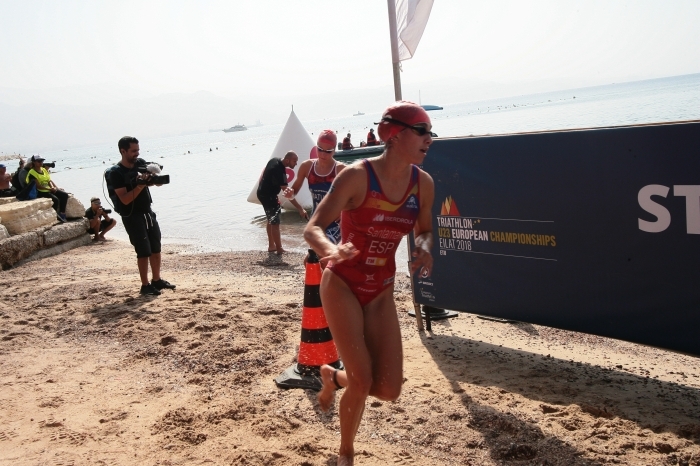 Teammate, Olivia Mathias and Portugal’s Vera Vilaça were close by initially and then, joined by Sian Rainsley and Gabriela Ribeiro this lead group pulled away over the two laps to open up a clear advantage. 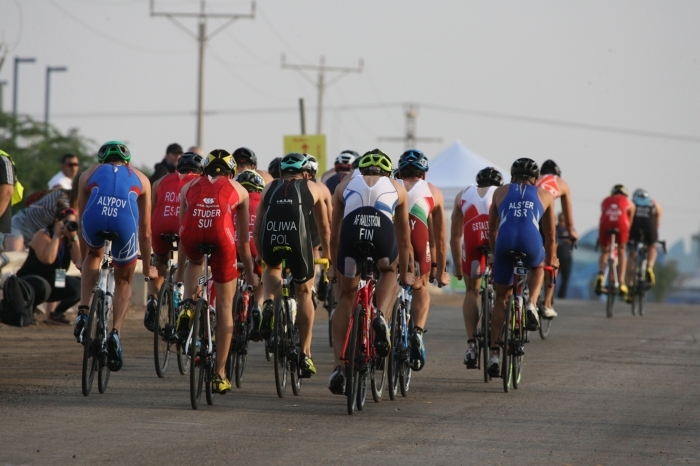 Out onto the bike and it looked as if we were going to see the Brits and Portuguese open up a huge lead, with the powerful cycling legs shared between them but their lead was short-lived and soon we were treated to a peloton of power as the chase pack caught up. 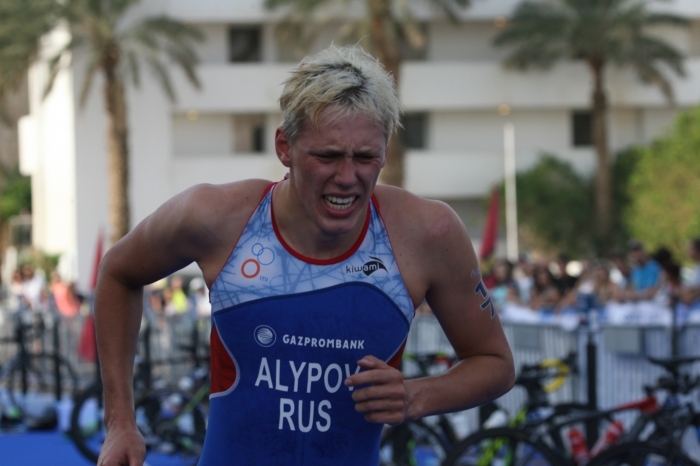 Sat inside the chase pack was Derron and Russian Ekaterina Matiukh. 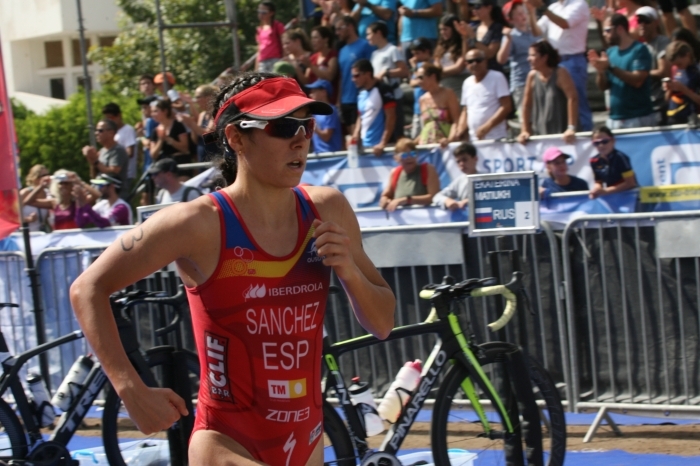 With Marta Sánchez Hernández and Cecilia Santamaria Surroca, it was now looking less certain for the stronger British athletes, who looked in danger of being used for their run power and then being left behind on the run. 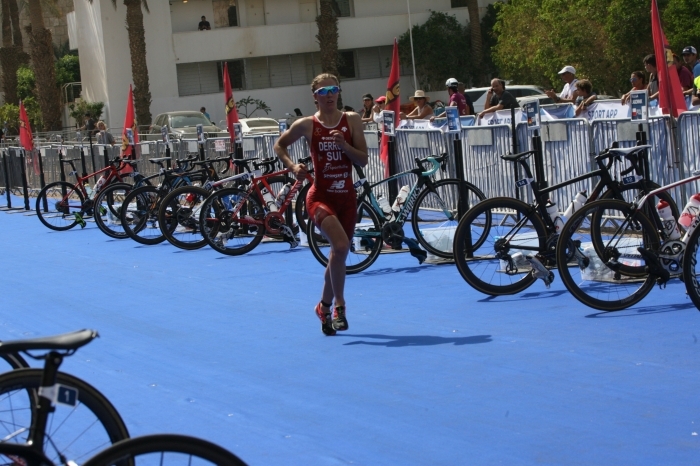 Out on the course, Yuliya Golofeeva crashed out and took Rainsley down with her. 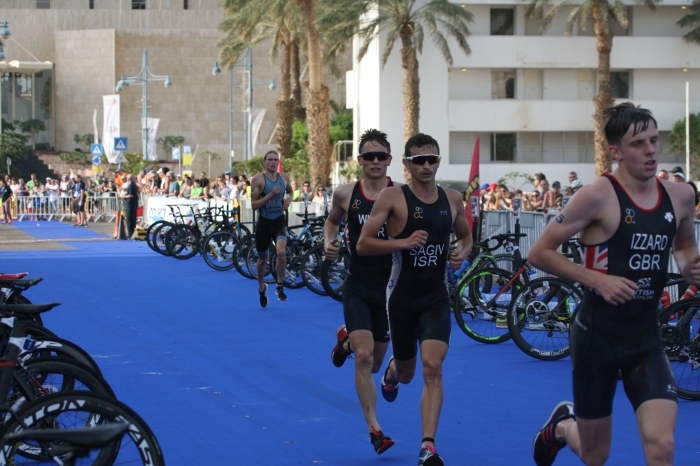 The British athletes struggled back up after hitting the ground heavily but the Russian’s race was over with a smashed bike. 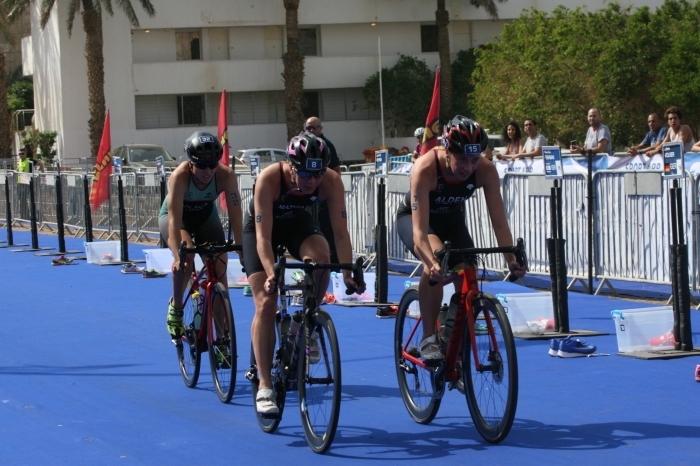 Rainsley was now in no-man’s land, covered in road rash on her back and with the final 10k looking like it would be run in a furnace, she wisely pulled out and went to get attention from the medics. 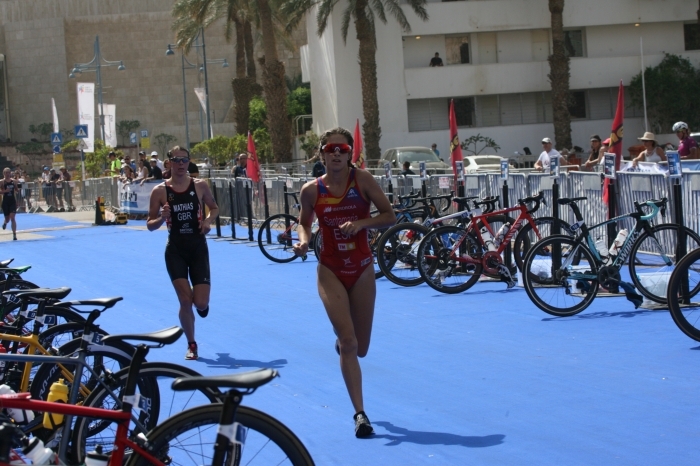 Now it was only Mathias and Alden in the pack with the fast Spanish and with Derron and her teammate, Estelle Perriard. 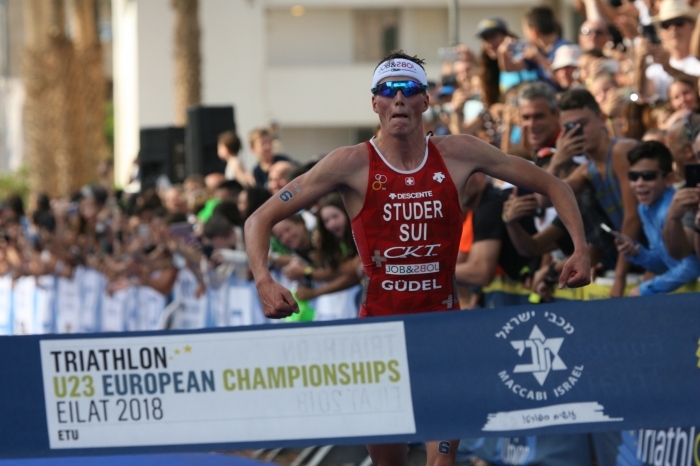 Matiukh was well-placed and as they left for the run, nobody could have predicted that the Swiss athlete would kick and leave them struggling before the first lap was over. 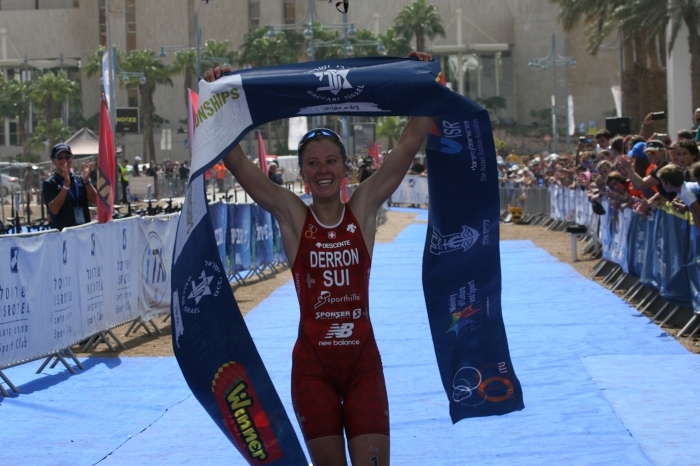 Derron just piled on the power and the only ones to be able to go with her were Santamaria and Mathias. 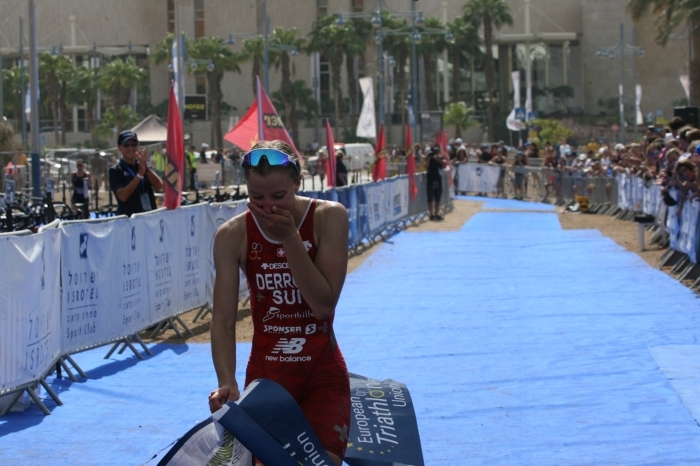 The distance increased and as Derron eased off the pace to enjoy her moment on the blue carpet, the cheers from her team were loud, very loud. 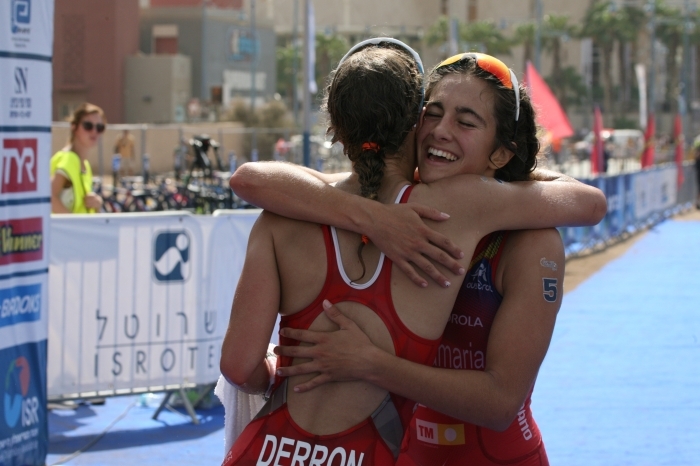 She had grasped the challenge delivered to her nation the distinction of the double. 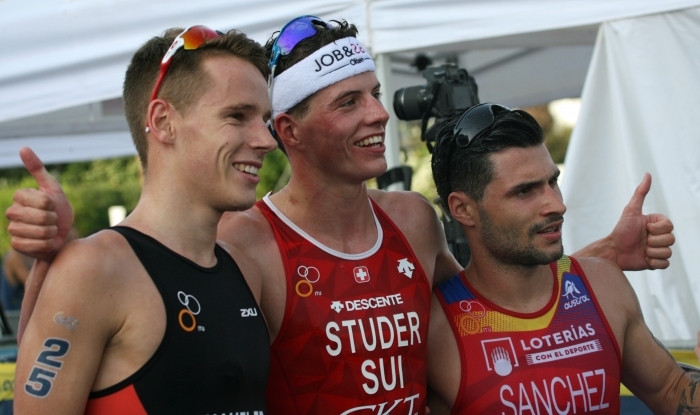 Switzerland can be delighted with this result and truly proud of these young athletes. 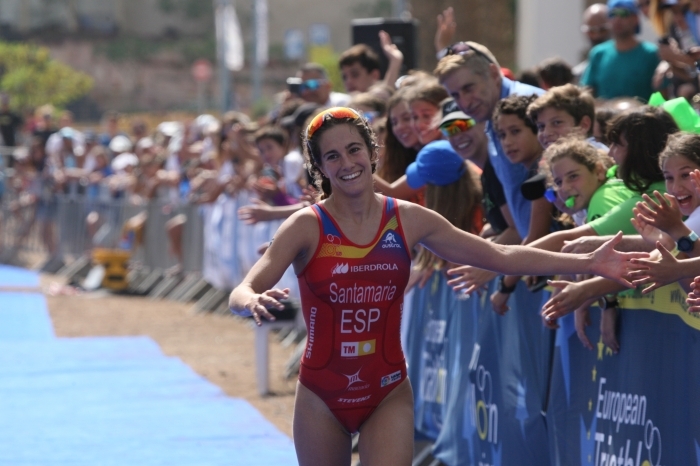 The Spanish team, always very visible and equally loud, went wild as Santamaria crossed the finish line to claim silver and Team GB were out in force to cheer home Mathias who easily claimed the final medal. 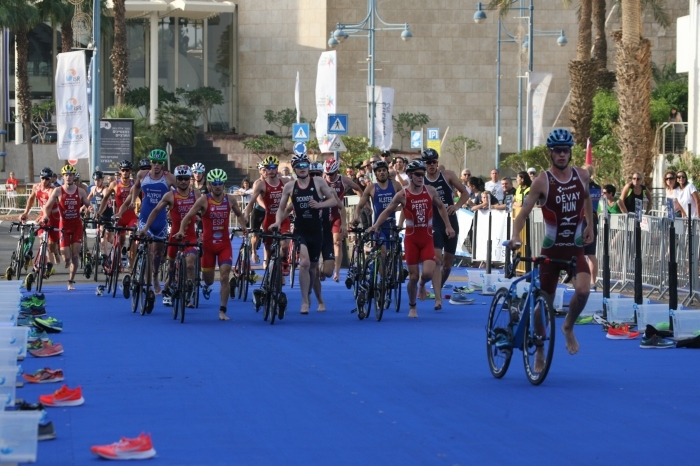 All athletes spoke well of the course. 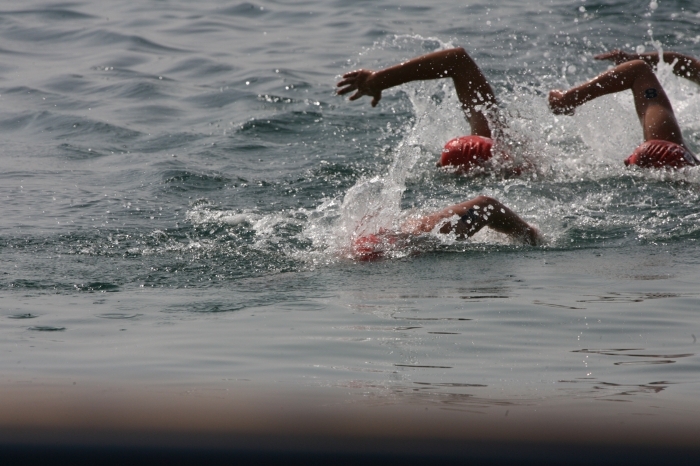 The swim was in wonderfully clear water, with rays and pufferfish to be seen. 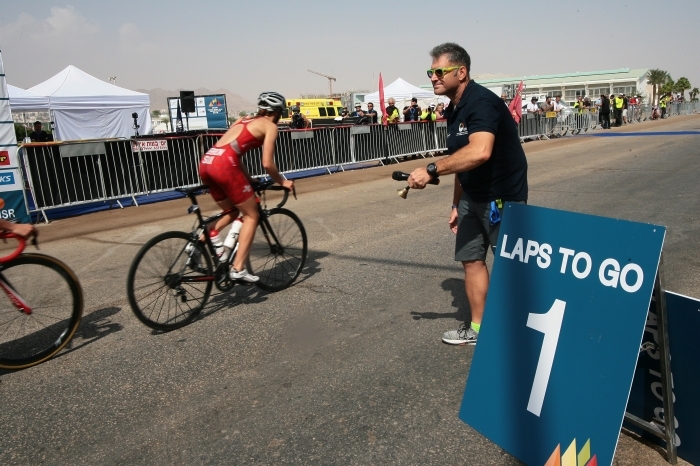 The bike course was a challenging one that made the race a real test and the final run, despite the heat, was the perfect final segment for a Championship. 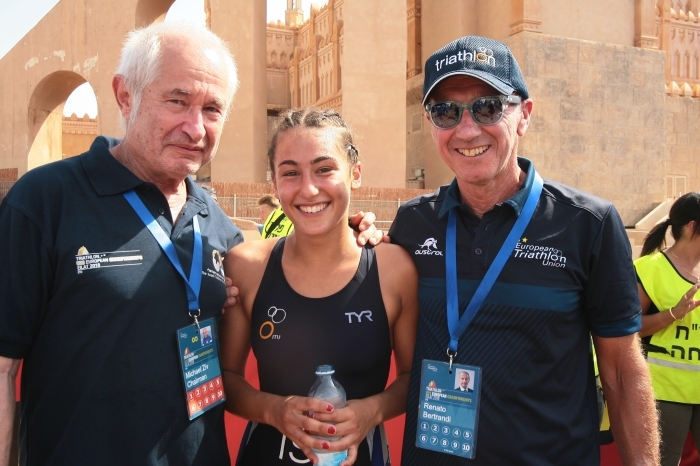 ETU President Renato Bertrandi took a few moments to reflect on how much he has enjoyed coming back to this city, which has a special place in his heart; he was elected President here in 2012. 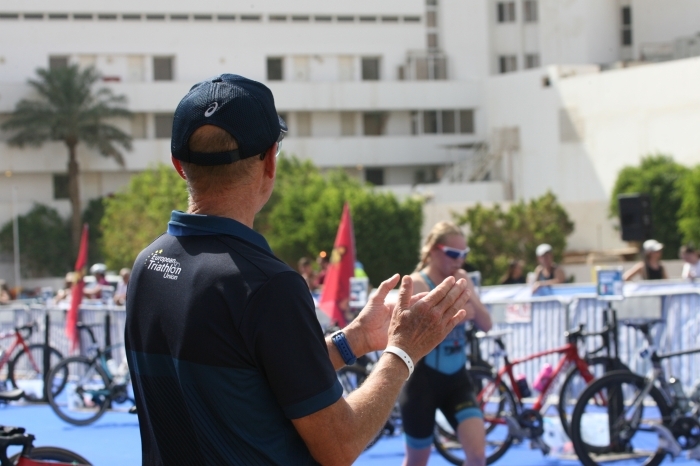 For him, it was truly wonderful to be able to see such high level competition amongst the U23 athletes and in particular he congratulated Michael Ziv, president of the Israeli Triathlon Association on the strong performances of the Israeli athletes. 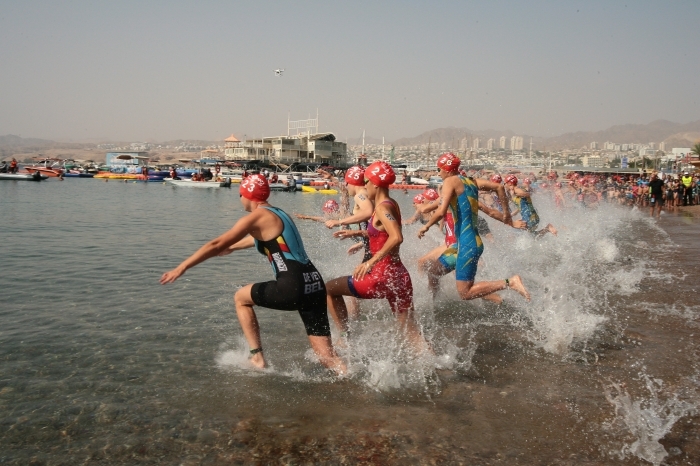 The Mayor of Eilat, Eli Lankri told the crowds how happy he was that the sport had come back to his city and how this new generation had been able to see the beauty of the bay and with the medals handed out, the champagne celebration over and the team photos done for the Technical Officials, the whole venue was locked down in readiness for tomorrow’s Mixed Team Relays, which are due to start at 10:00hrs.